I am Britta alias Pilbri. I am a jewelry and textile designer and design handmade precious glass and silver jewelry and textiles like cushions and scarves at my studio in Germany. I am living in the so called "Rhineland". The Name of this area occurs from the river being part of it, the "rhine". People living there seem to be very humorously. Therefore I have called my shop " Rhinepearls", jewelry, precious like beautiful pearls. Wunderschöner Anhänger, ultra schneller Versand (bestellt und zwei Tage später erhalten) und sehr netter Kontakt. Jederzeit wieder. Für mich ist das Kissen wunderschön, ein totaler Blickfang in meiner Sitzecke. Von dem Kissen geht ein Strahlen aus. New product in my Shop. I started as freelancer in the end of 2004. 2005 I founded my "Studio Pilbri" as an artist for painting. Later on I added photography. In 2010 I was educated by a glass designer in the technique of fusing glass. Being fascinated by glass since my childhood, I learned very quickly and developed soon my own designs. 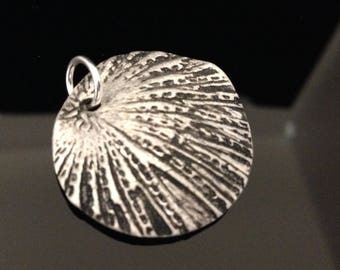 Then I learned to work with silver. In 2012 I presented my first own glass jewellery collection in my Atelier Pilbri and the visitors loved my jewellery. One year later I got my 2. jewellery collection. This time it was glass and fine silver jewellery, partly with real gemstones and a finegold application. November 2014 I started my etsy shop. All my jewellery pieces are handcrafted, therefore no jewellery is like the other. All designs are my own desgins. Every piece of jewellery is made with love. Designer, Fotograf und Produktentwickler aller Produkte in meinem Shop. Ich gestalte und entwickel alle Artikel selbst. Es ist ein Großhandel für Künstlerbedarf der mehrere Standorte hat. Druckerei, die für Künstler und Galerien, Kunstdrucke in bester Qualität erstellt.